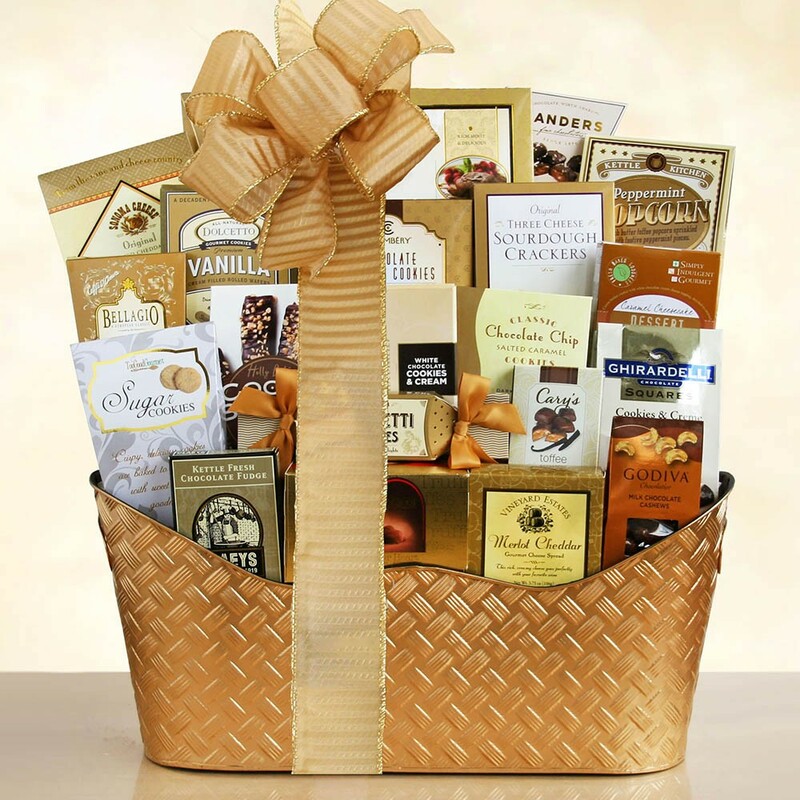 Wish them a glittering golden holiday this year with a gift basket that will dazzle and delight. A gorgeous gold colored container overflows with goodies. Everyone will love the sweet tastes of chocolate fudge, sugar cookies, cookie brittle cookies, Amaretti cookies, chocolate truffles, chocolate toffee, Sonoma cheese straws, cheese, sourdough crackers, hot cocoa mix, peppermint popcorn, Godiva white chocolate cookies and cream bar, Epicurean cookies, chocolate crackle cookies, Godiva milk chocolate-covered cashews, Ghirardelli cookies and creme chocolate squares, chocolate chip salted caramel cookies, vanilla pastry cookies and caramel cheesecake cookies. Delicious!